Field Consulting director and former ABTA head of public affairs Luke Pollard has been elected as the Labour MP for Plymouth, Sutton & Devonport - on a night where several Conservative candidates from PR failed to win in marginal seats. Pollard joined Field in 2015, having also contested the seat unsucessfully in 2015. He worked at travel industry body ABTA in the UK and then Brussels and agency giant Edelman prior to that. In 2015, Pollard had won 17,597 votes to Conservative Oliver Colvile's 18,120. Yesterday, riding the wave of a Labour surge across the country, he won 23,808 votes, against Colvile's 17,806. The vote on the south coast was mired in controversy - the BBC reported on Wednesday that around 580 postal voters issued by the city council had gone missing, while the Plymouth Herald put the number at 1,500 the next day. Pollard said he expected the result to stand. "The result is pretty clear and I think all the parties have said that - what is needed now is an investigation into what happened. You can’t deny people their right to vote," he said. Having lost out in the race for the same seat in 2015, Pollard said he was more confident this time around. "I know that we ran a better campaign in 2017 than in 2015 - the style of the campaign was much more personal to me and to Plymouth - that’s partly because the central party didn’t give us any resources," he said. Pollard - who had worked in Brussels with ABTA - said of the impending Brexit talks: "Brussels works best when any arguments are put in a collaborative and co-operative way. The way the Tories have sought to hit the EU round the head with a big stick is the way to get the worst possible deal." Other PR and public affairs professionals standing for Parliament did not have the same fortune at the polls. Several PR professionals standing for the Conservative Party were seen as odds-on or strong candidates before the late Labour swing - with one of them missing out by the slimmest of margins in the end. In an agonisingly close fight, lobbying and public affairs rising star Owen Meredith fell just short of winning Newcastle-under-Lyme for the Conservatives. The external affairs director of publishing trade body the PPA lost out to Labour's Paul Farrelly by just 30 votes. Slater & Grodon external relations lead Matthew Maxwell Scott again lost a close fight to Tom Brake of the Lib Dems in Carshalton and Wallington. In both 2015 and 2017, Brake bested Scott by around 1,500 votes. Conservative candidate and agency founder Antony Calvert pushed the incumbent Labour relatively close in Wakefield, but lost by 2,100 votes, a closer margin than separated the two in 2015. Oakhill Communications account director Peter Cuthbertson, a Conservative, lost ground to Labour in Darlington despite expectations earlier in the campaign that he would take the seat. The gap between the Labour winner and Cuthbertson was 3,280 votes, up by a little more than 100 on 2015, when Cuthbertson also contested the seat. 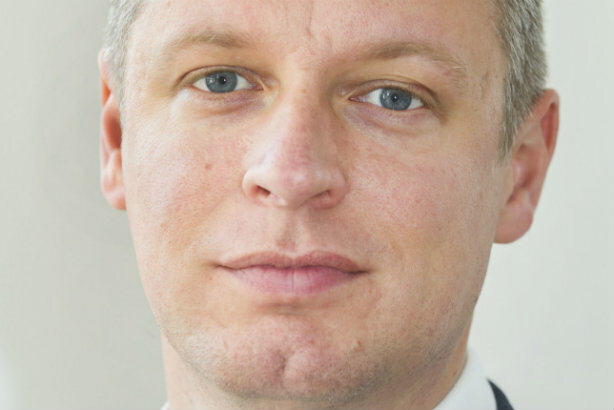 Money Advice Trust public affairs chief Matt Hartley failed to take Eltham for the Conservatives, as Labour MP Clive Efford won. Efford's margin of victory was more than 6,000 - in 2015, he had beaten Hartley by a far slimmer 2,600 vote margin. Several other candidates would have been standing more as a chance to gain experience than due to serious hopes of winning. Newgate Communications associate partner Tomos Davies lifted the Conservatives above Plaid Cymru to a second placed finish in Ynys Mon (Anglesey). Labour held the seat. UBS public policy executive Thomas Smith increased the Tory share of the vote in Blaydon, but still polled less than half the votes of Labour, which held the seat. Labour's Kevin McKeever, formerly of Portland, ran the Conservatives close in Northampton South. In 2015, he had lost by nearly 4,000 votes. Last night, it was just more than 1,100. Conservative hopeful Clark Vasey of Fujitsu's corporate affairs team closed the gap on Labour in Workington, but nonetheless fell short and came second. James Wild of the Conservatives - formerly of Hanover and thereafter a Tory spad - could not unseat Lib Dem Norman Lamb in North Norfolk. Freelance communicator Caroline Squire, standing for the Conservatives in Edgbaston, lost ground to Labour's Gisela Stuart. Tom Hunt, media relations manager at the Countryside Alliance, also increased his party's share of the vote as a Conservative, but was a long way off the victorious Labour incumbent. In Mitcham & Morden, Labour held its seat by a strong margin against Conservative challenger Alicia Kearns, a director of the agency Global Influence. Conservative candidate Daniel Hamilton, an FTI Consulting account director, was a distant second to Labour in Stockport. Rebecca Lury, a public affairs manager at tech firm VocaLink, benefitted from an 11 per cent swing to Labour in the London seat of Ruislip, Northwood & Pinner, but still came second, and by some distance, to Conservative incumbent Nick Hurd. Lib Dem candidate Amna Ahmad, a healthcare PR specialist, lost votes to Conservative incumbent Paul Scully in Sutton & Cheam. Lib Dem candidate Emily Fermor lost votes for the party in Maidstone & The Weald. She returns to her role as a consultant at Bell Pottinger. Paul Holmes of the Conservatives, who previously worked for Portland and was latterly employed as a Conservative spad, failed to win Southampton Test, which was held by Labour. Remarkable Group director James Bird lost out to Valerie Vaz of Labour in Walsall South, but did gain votes for the Conservatives. Newgate graduate trainee and Labour candidate Tashi Warr was a distant second in Dorset South, although the Conservative incumbent Richard Drax saw his margin of victory reduced. Lib Dem candidate Matthew Hemsley, a campaigns manager for Oxfam Cymru, was fourth in Cardiff North, which the Labour party gained from the Conservatives. In another Labour gain from the Tories, Stroud, Max Wilkinson came third for the Liberal Democrats. Wilkinson is an account manager at Carmargue.